If you Believe you will see the Glory of God! I needed to be reminded of this today, as I stand poised at the brink of an adventure that is taking me WAY out of my comfort zones and literally depending on the goodness and faithfulness of God! Today, God stands at the point of your need. What miracle do you need from Him? Believe that He is still the same miracle-working God today. 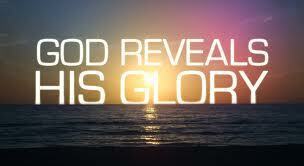 Believe that you will see the glory of God. Believe and you will see your miracle! When you and I experience either emotional or physical trauma, and God doesn’t respond like we think He should, we will do one of two things. Either we turn to God, trusting Him with the result; or we run from God and feed on bitterness. But it doesn’t have to be this way. We can learn to trust again. This entry was posted in Balanced living, Living by faith and tagged believing is seeing, Glory of God. Bookmark the permalink.